If you suffer from sciatica, did you know that TENS unit therapy could help you reduce pain and get back to your life? Sciatica is a nerve-related condition that can cause potentially debilitating pain. Transcutaneous electrical nerve stimulation, or TENS unit for sciatica pain provides a non-invasive therapy for this chronic pain condition and it’s yielding some impressive results. Here’s what it is, how it works, and who it works for. We’ll also discuss TENS unit placement for sciatica further on if you already have a device and are trying to use it properly to relieve your pain. TENS unit for sciatica pain? Chronic pain is no joke, but if someone told you an electric shock could relieve that pain, would you laugh? It turns out that there is such a thing, but it’s not quite the same as an electric shock you might receive from faulty wiring. TENS for sciatica uses a low-voltage electrical current delivered through two electrodes attached to the skin (usually through a patch of some kind) to interrupt or fully block the nerve signals that create sciatica pain. Let’s look at what causes sciatica to understand how TENS unit for sciatic pain could work for you. The sciatic nerve begins in the lower back, where it branches off and goes down each buttock, hip, and thigh. It branches again at the knees and continues to the feet. The sciatic nerve is the longest and largest in the body and, at its thickest, is as large around as a finger. Several conditions, such as a herniated disc or spinal stenosis, can cause irritation and inflammation of the sciatic nerve. When this occurs, the sciatic nerve begins to transmit pain signals. Sciatica discomfort may begin as numbness or tingling in the buttock or upper thigh, but it often worsens with time. The discomfort might increase to pain, and the pain can spread from the buttock down the back of the thigh. Eventually, this pain can spread down the lower leg until it’s even felt in the toes. Sciatica pain might also radiate upwards, causing pain in the lower back. No matter where else it might spread, pain from sciatica is always felt in the back of the thigh, and it is almost always felt in just one leg. The following video gives a great overview of what sciatica is. During a flare-up of sciatica, or a period of acutely increased pain, some rest might be beneficial. As soon as possible, though, a normal, active daily routine should be resumed. In the long-term, rest may actually worsen pain from sciatica. Exercise is highly effective, both at preventing sciatica and as a therapy for existing sciatica. However, if the pain has reached debilitating levels, exercise may not be viable. Medications are often recommended for sciatica pain. However, the most effective oral medications are usually opioids, which carry a heavy risk of dependency. Injected medications, such as a sciatic nerve block, can provide significant pain relief. While injections are less invasive than corrective surgery, they can still risk infection or bleeding. Another therapy, called transcutaneous electrical nerve stimulation (TENS), can provide a totally non-invasive alternative. What is TENS unit therapy? 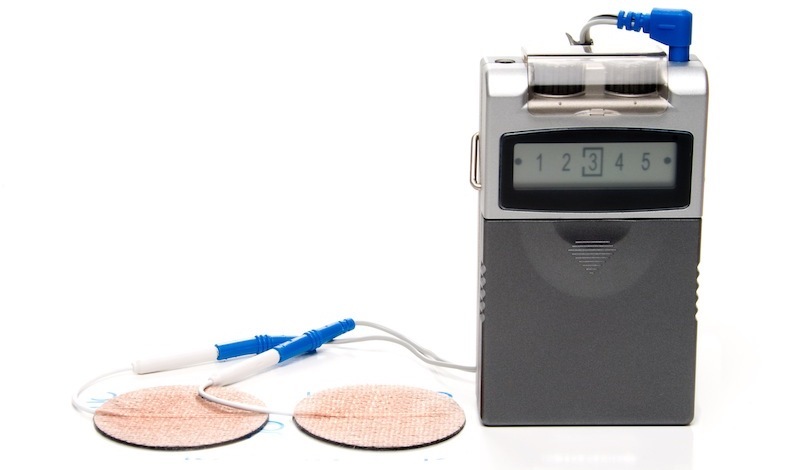 TENS unit therapy utilizes a small battery-operated remote attached by wires to pads or electrodes. The electrodes are placed strategically on the body, and the TENS unit transmits an electric current. For the best results, the electrodes are positioned near the painful area or on a pressure point that reaches to the painful area. For example, for radiating leg pain, the TENS patch might be placed on the low back. The electrical current is controlled by a battery-operated pack the size of a deck of playing cards. The current can be administered continuously or at timed intervals, depending on the recommendation of the therapist or doctor. This treatment has become so popular that patients can now purchase much more affordable over-the-counter TENS units. Even if patients choose to supply their own TENS unit, it is important to work closely with a doctor to monitor this treatment. How does TENS unit for sciatica work? There are a couple of different theories on how the TENS unit for sciatica works. The first is that the electrical current interrupts or fully blocks the nerve signals that indicate pain in the brain. Another theory is that the nerve stimulation caused by the TENS unit helps the brain to produce more endorphins, which then overrides the sensation of pain. Depending on the level of pain, patients may use their TENS unit for as little as one 30-minute session. Others may need to utilize this therapy for several hours a day. This is an easily customized treatment that has virtually zero side effects. Side effects that do exist may include skin irritation if electrodes remain in the same place for several days. Patients with pre-existing heart conditions, those who wear a pacemaker for such conditions, and pregnant women should talk with their doctors before starting this therapy. Although literature concerning the effectiveness of TENS unit therapy for sciatica is somewhat inconsistent, most medical professionals agree that the outcome is generally positive. Approximately 70% to 80% of patients experience pain relief during their initial use of TENS unit for sciatica. The success rate drops to 20% to 30% after a few months. However, if the initial relief of pain allows the introduction of gentle exercises, such as walking or stretching, TENS unit therapy can ultimately lead to very long-lasting relief of pain. The initial settings for TENS unit therapy are usually determined by a professional, such as a physical therapist or physician. Before going home with a TENS unit, the person using it should be sure to learn from his or her physician how to safely adjust the settings. This way, he or she can try different amplitudes, pulse widths, and pulse rates to see what’s most effective. Amplitude is the intensity of the electrical current and should be relatively low to avoid the risk of electrical burns. Pulse width is the duration of each electrical pulse. It’s usually measured in microseconds and ranges from 10 to 1,000. The pulse rate is the frequency of the electrical pulses, or how many impulses occur per second. The first setting, sometimes referred to as the conventional setting, has a high frequency (pulse rate), low intensity (amplitude), and short duration (width). Pain relief with this setting can be almost immediate, but the relief often abates as soon as the stimulation is stopped. Some individuals wear their electrodes all day and turn on the stimulus at regular intervals, such as every 30 minutes. Sometimes, this can help extend the relief of pain. Another basic setting on most TENS units is the acupuncture setting. This delivers a low frequency (pulse rate), high intensity (amplitude) therapy. The amplitude is set close to the individual’s tolerance limit, and as a result, this setting is uncomfortable enough that not many people can tolerate it. However, the acupuncture setting is sometimes more effective than the conventional TENS unit therapy. The final TENS setting is referred to as pulsed or burst setting. It uses low intensity stimuli at a high frequency. Because this method has shown no advantage over conventional TENS, it’s not often used. Electrode placement in TENS unit for sciatica is paramount. To achieve pain relief from sciatica, the TENS unit must stimulate the correct nerves. Individuals utilizing TENS for sciatica can self-adjust placement of the electrodes to see what’s most effective. A simple way to determine electrode placement is to palpate, or feel, the painful area. If one particular spot elicits a painful reaction, it’s probably a good place to put an electrode.Generally, these painful spots can be found along the sciatic nerve. Always use two pads or four pads to create a channel for the electrodes to flow. Place one pag at the top of the pain and another at the bottom of your sensations. The following graphic from OMRON Healthcare gives a great visual for a TENS unit placement for sciatica. A physician, therapist, or other medical professional can also offer you help in electrode placement for sciatica. 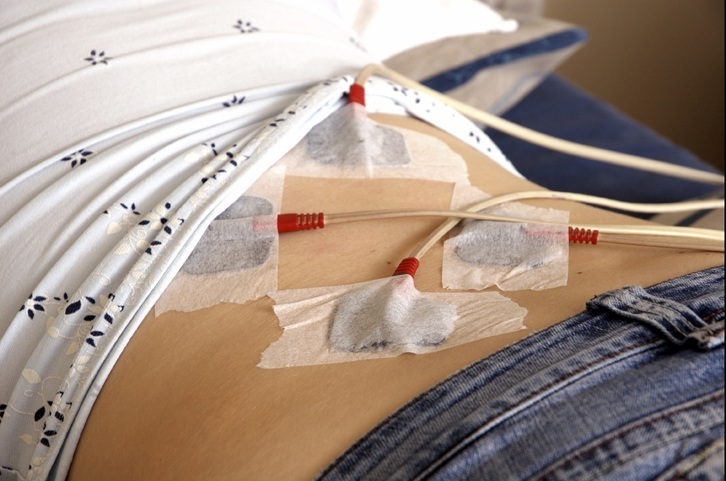 The use of TENS unit electrodes on non-painful sites can sometimes provide comparable or improved pain relief. A medical professional will be able to point out trigger points or acupuncture sites that can be effective locations for electrode placement. Not only is TENS unit therapy low-risk and non-invasive, but it offers people with sciatica a way of adjusting their own therapy as needed. A medical professional is helpful when learning how to properly use a TENS unit, but individuals are then allowed to follow their own bodies’ cues to treat sciatica pain. Because of the as-needed nature of TENS unit for sciatica, it can be particularly useful to control pain in order to maintain a healthy level of activity. A recent analysis of existing studies and research shows that yes, transcutaneous electrical nerve stimulation does, in fact, help to relieve many different types of pain. An in-depth article from the U.S. National Library of Medicine revisited how TENS unit therapy works as well as critical factors in its success. The level of stimulation of these receptors is largely a function of the intensity of the stimulation. What does this mean for you? Simple: the efficacy of TENS unit therapy relies largely on proper levels of nerve stimulation in frequency, intensity, and duration. Although research has shown that any level of stimulation offers some pain relief, a longer-lasting, deeper level of relief comes when the TENS unit is carefully calibrated to find the correct dosage. Working with your doctor and trying new TENS unit placements for sciatica are important ways to finding the best pain relief. Recent studies have clarified more specific uses of TENS for pain management. Researchers found that TENS at any level of intensity helped reduced heightened sensitivity to pain (hyperalgesia) caused by muscle inflammation. Transcutaneous electrical nerve stimulation has been shown to help treat dry mouth (xerostomia) caused by radiation treatments just as well as the standard prescription pill of pilocarpine (good news for cancer patients who are already taking multiple prescriptions). A ground-breaking study from NIH/National Institute of Biomedical Imaging & Bioengineering found that transcutaneous electrical nerve stimulation helped five previously paralyzed study participants mimic step-like movements in their legs. This research is in its infancy but could lead to breakthrough treatments for those with spinal cord injury resulting in paralysis. Have you tried TENS unit for sciatica pain you experience? How has it worked for you? If you’re interested in learning more about TENS unit for sciatica pain, reach out to a pain doctor today to talk about this treatment option. Very well explained Step to Step. I am sharing this with my friends and also on my twitter. You explained it nicely but just a suggestion, if you have shared some information on costing part that “”How much it will cost to buy tens Unit”” then this one is the perfect content for the patients. They will get all information starting from costing to how to use it from one place only. Hi Mason — Thanks for your comment! We’ll definitely consider including that information. Since there’s such a wide range of prices, though, for these devices, it’s typically best to talk to your doctor about the best option for you. Thanks for your article. Im currently all wired up to a tens machine due to a protrusion onto my L3 nerve. How high should I have the intensity though. My machine goes up to 50, but I’m currently on setting 7. Do I get better results the higher the setting? When I went to the physio last week he did a treatment similar to tens but the current was barely noticeable. Hi Mark — Unfortunately we can’t offer any specific advice on the blog. We do recommend talking to your doctor about different intensities to help with your pain. If you’re not already working with a pain specialist, you can find one here: https://paindoctor.com/find-your-pain-doctor/. Hope that helps! I wore a ten’s unit for 3 years for sciatic pain due to bulging discs pinching my sciatic nerve. It was a life saver and I wore it all day. Your doctor can write a script for it. My insurance covered the unit, supplies, leads and pads. I don’t need it anymore as intense PT got me out of pain. I’ve been pain free for 3 years now! We are so glad to hear that Donna!! Regarding TENS unit guides listed above, the LG site was the best for showing pad placement and unit settings, however, I do not understand the terms “3/4 Setting” and “3/4 Treatment Session”. Can you explain these terms please. Thnx. Hi Pualani — Since we don’t work with them directly, we don’t want to speculate exactly on what they mean. Do consider reaching out to that company directly for more information. Wow… finally got myself a TENS and the pain was reduced instantly….Why did my doctors not give me one years ago!!!!! I rely on my tens unit to help ease my low back pain since I cannot take most pain medications. Recently I over used my tens unit and am now feeling muscle soreness in my back. I have found that short treatments (15 minutes) twice a day works better for me on a daily basis than the 2 hours I did the other day. I am planning on buying another tens unit as a backup. It is a real blessing to take with me anywhere and I use it almost every day. Thanks for sharing your story Jeannie! Hi Doc. I had back surgery to reduce sciatic nerve pain, over 15 yrs ago. Complete failure. I’ve not been more than 3 months without back pain, muscle spasms from mid back to lower. Presently pain is solely hip to foot, entire leg. Nothing relieves the pain. Heat, ice, stretching core work tens unit or activity it reoccurring every time. This is my Vicious cycle for the last 15 years. I am really it my breaking point with this Constant pain. Hi Bob — We are so sorry to hear about the challenges you’ve been facing. Unfortunately we can’t answer specific medical questions on the blog. We recommend reaching out to a doctor in your area: https://paindoctor.com/get-relief-now/ or using the tips here to find one: https://paindoctor.com/pain-management-doctors/. Also one of the most important components of dealing with chronic pain is getting support from people who actually understand what it’s like to live with it day in and day out. We recommend reaching out to a support group to get help from people who also understand chronic pain. 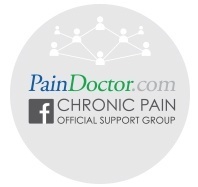 : https://paindoctor.com/chronic-pain-support-groups/. anybody know which mode should i use for sciatica? Hi Thomas — Unfortunately we can’t offer any specific advice on the blog. We do recommend talking to your doctor about different modes to help with your pain. If you’re not already working with a pain specialist, you can find one here: https://paindoctor.com/find-your-pain-doctor/. Hope that helps! How does TENS differ from SCS. I am about to enter my 5-7 day trial for SCS. I only heard about TENS recently, am experimenting with it, and am wary about committing to SCS. My lower leg pain is a result of two failed back surgeries. Hi Douglas — You can learn more about TENS units here: https://paindoctor.com/treatments/tens-units/. We also have a full explanation of SCS here: https://paindoctor.com/treatments/spinal-cord-stimulation/. Hope that helps!